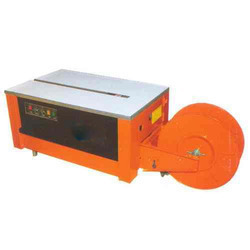 Box Strapping Machine offered come in model options of Low Table Top KEPL 101L and can handle minimum strap size (mm) of 60x30 with strapping speed (seconds) of 1.5. it comes with separate motor support for reverse & forward strap feeding operations. Further, it also has adjustment choice for strap tightening as well as indication for strap adjustment. Making use of polythene plastic strap as binding material, it is suitable for use in packing and binding of paper parcels, paper carton, wooden box and others. We make these available in available in floor model and regular model choices. We are instrumental in offering an excellent range of Fully Automatic Box Strapping Machines to the clients, in varied specifications. The entire range of machines is designed in compliance with the international quality standards, at our sophisticated production unit. Moreover, we make sure to deliver the ordered products to the clients’ premises within the committed time frame. We are a trusted organization engaged in offering an exclusive range of Semi - Automatic Box Strapping Machine to the esteemed clients. These machines are fabricated as per clients’ requirements, at our sophisticated production unit. 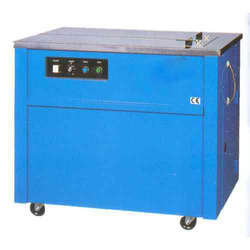 Moreover, we can customize these machines as per the exact details specified by the esteemed clients. 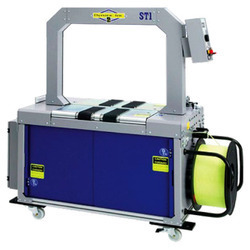 Looking for Box Strapping Machine ?